Sold by AU Fulfillment and ships from Amazon Fulfillment. I received a bag of dried chili peppers instead of the patches. Pretty sure that will only make things worse! 154 people found this helpful. 1.0 out of 5 starsCounterfeit garbage. Counterfeiting skin care products should be illegal. Shame on amazon for letting that behavior slide without any interference at all. For anyone who is considering buying these patches, the genuine product is clear, not a fleshy tone, and the paper it comes on doesn't have a holographic sheen to it. All four of the packs i received were counterfeit and i had to throw them away upon delivery. What a waste. 5.0 out of 5 starsTHE best Acne Patches on the Market. 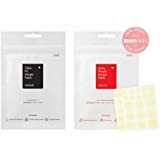 I have repurchased these Acne patches multiple times because they truly and genuinely work. There are a lot of different varieties of acne patches on the market, especially from Korean brands, but none of them come close to these. Many other patches look and feel like a clear sticker, don't stick very well, and don't seem to make a major difference to the breakout itself rather than protect it from bacteria or picking. The Acne Pimple Master Patches are really in a league of their own. Not only are they made of very thick material, but they do what the others dont: heal your acne. These patches come in 3 different sizes: small, medium and large. The smallest patch would cover a tiny pimple, however the medium and large patches would definitely cover larger areas include cystic acne. I usually use these after I've done my skincare for the evening. I wait for my face to dry and place these on top of any major breakouts I have and go to sleep. These need to be left on for many hours to really have an effect. When I wake up in the morning and remove the patches, you can see the risen white spot on the patch where it has "sucked" the bacteria and oil out of the breakout. 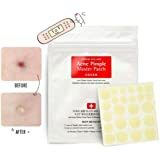 The pimple is normally flattened and much less red and noticeable after one patch, however there have been a few times where the pimple is almost completely gone after one use. Bigger acne breakouts may take a few patches to fully heal. If you have those moments where you wake up with a monster zit right before an important date or meeting, these are truly lifesavers. I have used these on cystic acne and while they don't really pull anything out, it seems like it soothes and heals the skin and makes the cystic acne go away much more quickly. A cystic pimple will usually last weeks on my face, but using these, sometimes it will disappear in a couple of days without ever coming to a head. There are some pimple (like cystic acne) that these don't work amazingly well on, but a breakout that has formed a white head, or a pimple that has already burst will really benefit from these. 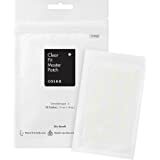 I also find that if you're like me and your a skin picker, placing one of these patches on top of a picked-at pimple will not only pull out any excess oil and bacteria from the area, but it will heal the skin very quickly and keep you from continuing to pick. I cannot say a single bad thing about these, and I highly recommend trying them! They're a must have for anyone that suffers from breakouts! 4.0 out of 5 starsMuch to my great surprise, they work! I purchased these because I heard good things about them in blogs and comments. I was worried upon their arrival because the packaging was different than shown, and people have raised concerns of their authenticity, which I only realized after purchasing; but the seller has replied to comments that they're legit, and I've checked the website as listed on the back of the product. 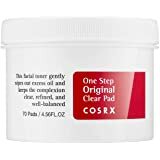 Unless the seller created a whole website for Cosrx, including selling all of their other products, just to include an image of this other packaging... 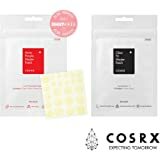 I'm going with Cosrx updated their packaging. I wouldn't say these solve everything over night, but they certainly brought quite a bit down to a night, and my cystic acne was actually gone in 3-4 days - instead of 3-4 weeks! It didn't "remove" anything, per se (as it has for other reviewers), but it did somehow manage to bring everything to a head so I could remove it. The TMI: when I peeled the patch off the next morning, there was a white spot on the patch and an exposed white head on my face, with no skin covering it. With a little pressure, the disgusting stuff came right out. For my cystic acne, I used a sterile needle to create a path. I didn't do any extra picking, poking, touching, etc. I kept it clean and the patch again - somehow - managed to bring even those to a head. As mentioned, even the cystic acne were gone within 3-4 days. There is no scarring. I don't understand the science behind how this works, but it's amazing to me that it actually does work. It's also important to know it's not going to work on EVERYTHING. I used up a whole pack in those 4 days experimenting on the different blemishes I have. 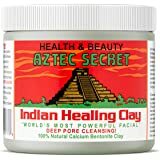 I've found when it comes to acne, it has to have a clear path for removal of the excess sebum or oil to come up to the patch, and allow for removal as described above. If it's too deep, or just general congestion, it's staying there; or, you may have to use it a few nights in a row to clear it up. In spite this, I'm genuinely impressed by this product. It has helped me tremendously. As I bought the 4 pack, it'll take me awhile to run out; but once I do, I plan to reorder. They are, without a doubt, the best spot treatment I've used to date. Please note: a 5 star review, in my opinion, would actually have to clear up everything overnight. As that is (unfortunately) not realistic of any product, it gets a very realistic 4 star review. It gets the job done and I'm very pleased with it! 5.0 out of 5 starsAbsolutely love these, have changed my pimple life! I can’t say enough good things about these patches. I’m 32 and have always had issues with zits popping up here or there and then sometimes even a constellation of them that won’t go away. I know you’re not supposed to pick at them or squeeze them, but I can’t seem to help myself. So clearly there have been numerous times I have ended up with red, swollen, angry pimples that look worse than they most likely would have had I not messed with them. Then they stick around longer all scabby and mad, and leave scars sometimes. I’m being 100% honest when I say these patches have changed my pimple life. Instead of feeling the need to pop them, I just put one of these patches on and most of the time by the next day it looks so much better. Not gone completely, but obviously healing. There have been a couple stubborn ones that I have had to use a patch on more than once, but in my experience so far they have always helped. I bought the single pack first, but quickly fell in love with them and went for this multi pack next. I’ve tried so many acne creams and ointments and washes throughout the years and none have worked as well as these patches. I love them.